Imperial Beach Sun & Sea Festival This Weekend | Pictures, Schedule, & More Info! 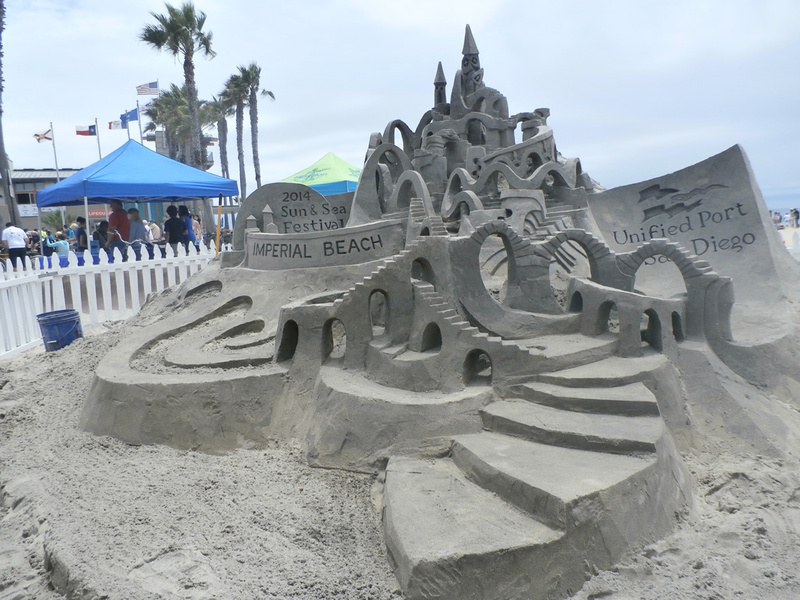 The 2015 Imperial Beach Sun & Sea Festival — dubbed, “The Original Imperial Beach Sandcastle Competition” — is bringing providing you with all the free, family-friendly beach community fun you can handle! Master sculptures making sand creations, a kids’ zone & sand castle building contest, live entertainment, parade, farmers’ market & international food fair, & so much more! More info & pictures below. 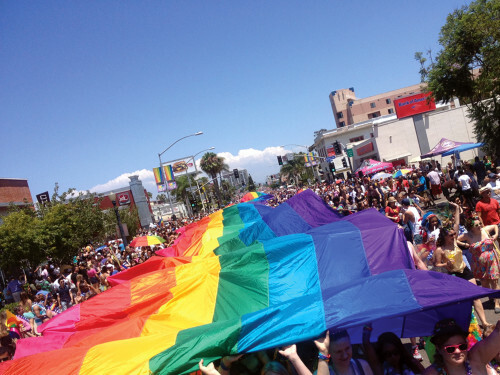 Pride: 2015 San Diego Pride | Music Festival, Parade, Parties, Rally, 5K Run, & More! This entry was posted in All Ages, Art, Events, Family Friendly, Festivals, Food & Drink, Free, Imperial Beach, Music and tagged 2015 cork and wine classic, 2015 imperial beach events, 2015 imperial beach july events, 2015 imperial beach sandcastle competition, 2015 imperial beach sun & sea festival, 2015 imperial beach sun and sea festival, 2015 lemon zest and garlic fest, 2015 pride parade san diego, 2015 pride san diego, 2015 san diego august events, 2015 san diego cork and wine classic, 2015 san diego july events, 2015 san diego music festivals, 2015 San Diego Pride, 2015 san diego pride events, 2015 san diego pride parade, 2015 san diego pride week, 2015 sun & sea festival, 2015 sun and sea festival, free imperial beach events, free san deigo family friendly events, free san diego all ages events, free san diego concert events, free san diego events, free san diego music events, free san diego summer concerts, imperial beach events, imperial beach festivals, imperial beach july events, imperial beach sandcastle competition, imperial beach sandcastles, imperial beach summer events, imperial beach sun & sea festival, pride parade san diego, san diego all ages events, san diego august events, san diego concert events, san diego events, san diego family friendly events, san diego food and drink events, san diego free tickets, san diego july events, san diego lemon zest and garlic fest, san diego music events, san diego music festivals, san diego pride, san diego pride calendar, san diego pride events, san diego summer concerts, san diego summer events, san diego win tickets, win tickets cork and wine classic, win tickets lemon zest and garlic fest. San Diego Pride is here! The Block Party’s on Friday, the Parade is this Saturday, and the Pride Music Festival is Saturday & Sunday. There are lots of events and parties all week! Below is a big list of events to attend. If you want your Pride event(s) here, you can email info to sandiegopipeline @ gmail dot com. This entry was posted in Active Lifestyle, All Ages, Art, Comedy, Downtown, Events, Family Friendly, Fashion, Festivals, Food & Drink, Free, LGBTQ, Music, Shopping and tagged 2015 cork and wine classic, 2015 lemon zest and garlic fest, 2015 pride of hillcrest block party, 2015 pride of hillcrest party, 2015 pride parade san diego, 2015 pride san diego, 2015 san diego august events, 2015 san diego cork and wine classic, 2015 san diego july events, 2015 san diego music festivals, 2015 San Diego Pride, 2015 san diego pride 5k, 2015 san diego pride block party, 2015 san diego pride events, 2015 san diego pride music festival, 2015 san diego pride parade, 2015 San Diego Pride Parties, 2015 san diego pride rally, 2015 san diego pride week, 2015 san diego spirit of stonewall rally, 2015 spirit of stonewall rally, free san deigo family friendly events, free san diego all ages events, free san diego concert events, free san diego events, free san diego music events, free san diego summer concerts, pride parade san diego, pride san diego, san diego 5ks, san diego all ages events, san diego august events, san diego concert events, san diego events, san diego family friendly events, san diego food and drink events, san diego free tickets, san diego july events, san diego lemon zest and garlic fest, san diego music events, san diego music festivals, san diego pride, san diego pride 5k, san diego pride block party, san diego pride calendar, san diego pride events, san diego pride music festival, san diego pride parade, san diego pride parties, san diego pride rally, san diego pride week, san diego running events, san diego summer concerts, san diego summer events, san diego win tickets, spirit of stonewall rally, win tickets cork and wine classic, win tickets lemon zest and garlic fest.